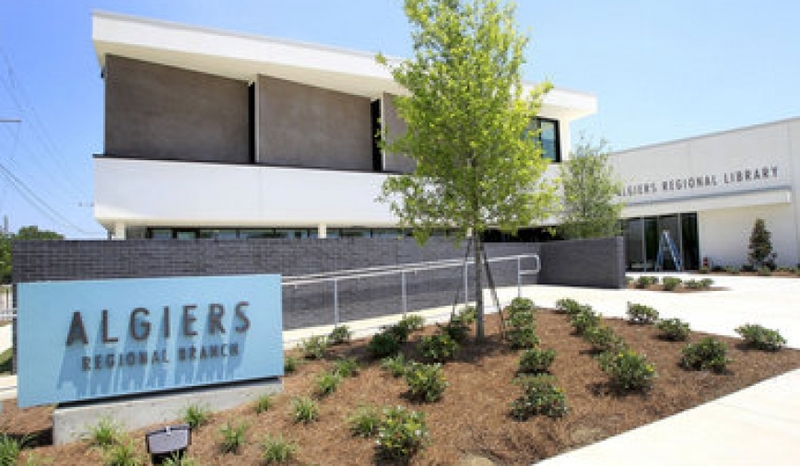 The Algiers Regional Library serves the greater Algiers Community with all traditional library services as well as computer access, story times, printing and fax services and a variety of informational, educational and recreational programs for all ages. It is the meeting place for the Algiers Historical Society’s monthly meeting. It has two meeting rooms available for booking by non-commercial organizations. It also has a computer technical lab with twelve computers. Additionally, there is a teen activity room and a separate space for the teen collections.